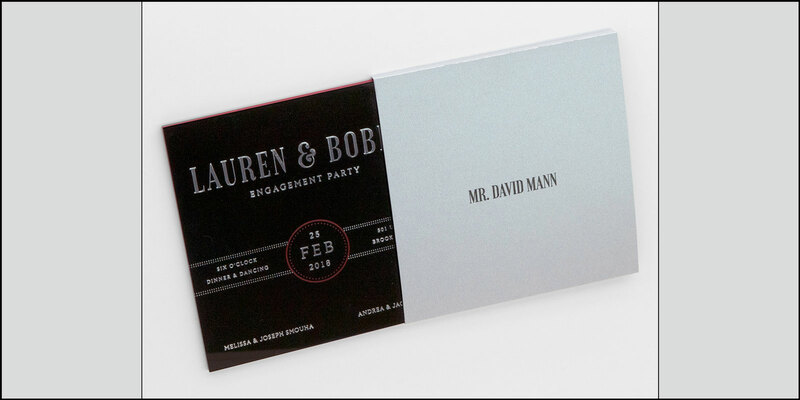 These engagement party invitations are simply stunning. 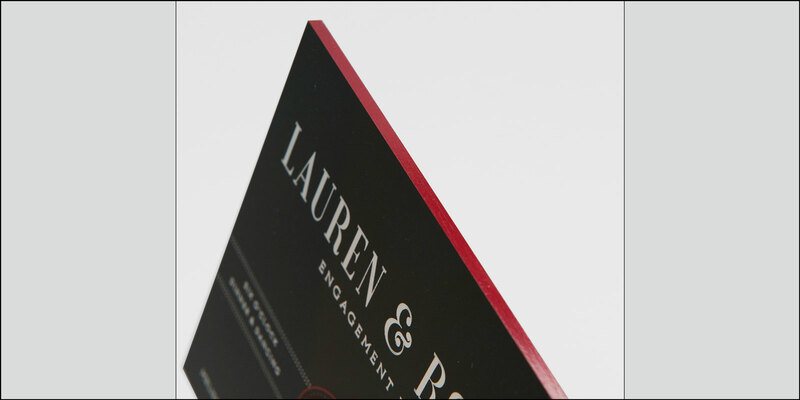 The invitation itself is about 3/16″ thick glossy opaque acrylic. 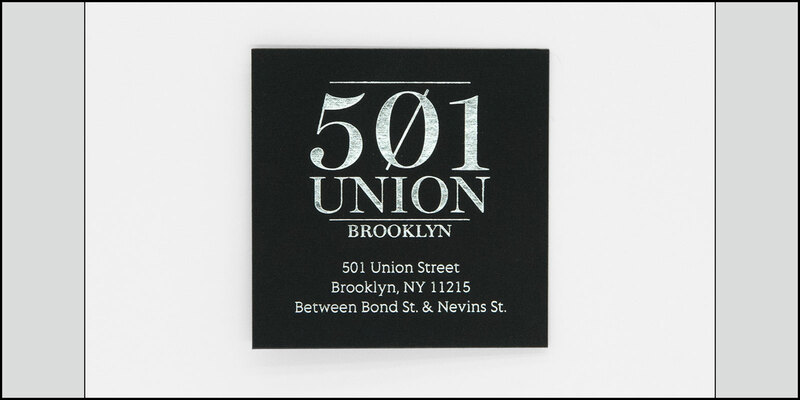 The acrylic is then foil stamped with silver and glossy red. The edges of the acrylic are gilded in red to match. We made custom slipcases for the invites with the guests’ names printed directly on them. These were then placed into clear cellophane bags in order to be hand-delivered. 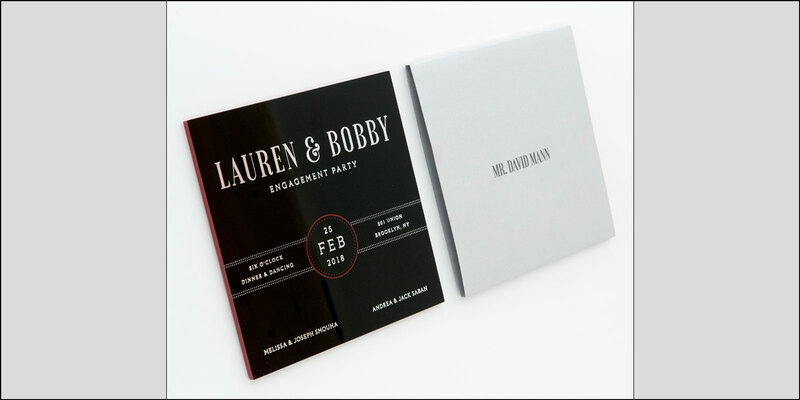 This Engagement Party Invitation may be customized in nearly infinite ways to suit your needs. 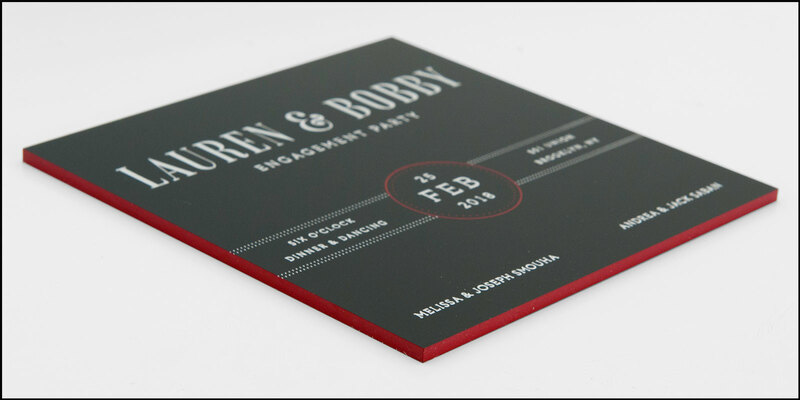 Colors, sizes, paper options, printing styles, finishing techniques and fonts are just some of the aspects of our invitation suites that you have control over. There are no limits to where your imagination can take you. 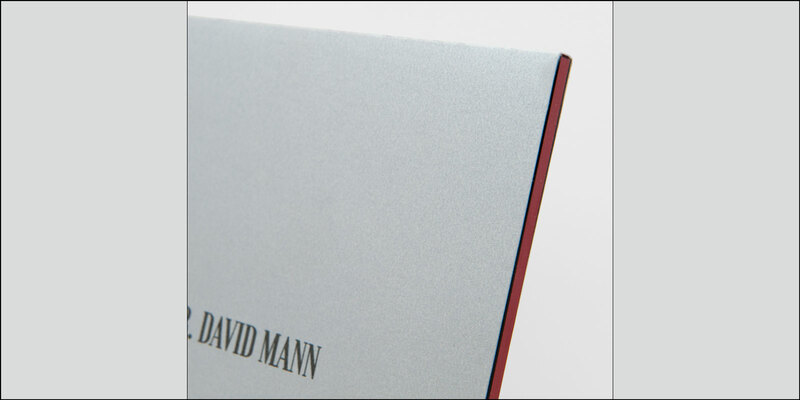 Guest addresses printed directly on to the slipcase face.